We’ve nearly made it through another long, frigid winter and spring is on its way! If you couldn’t escape for family vacation in the sun over the winter holidays, you’re probably ready to get out of dodge. Whatever the season, we’ll find any excuse for a holiday. Why not make March break yours? Whether you’re planning to head to another province, for a quick trip to the US or further abroad to warmer southern climes, you’ll want to add travel insurance coverage to your travel checklist. If you’re travelling with family, a family travel insurance plan is a comprehensive and economical option. Wondering why you and your family need travel insurance in the first place, and if family travel insurance is right for you? Find the answers to that and more, below. Why does my family need travel insurance anyway? If you or your family have an accident or a medical emergency while you’re travelling, even within Canada, it can be costly and stressful. Having a comprehensive travel medical insurance plan will protect you financially by covering costs for doctors’ visits, hospital stays, prescriptions and more. Because your provincial medical plan only covers up to 10% of medical costs and services out of province, and that can add up to thousands of dollars, you’ll want travel insurance coverage. Planning to travel within Canada? Find out what your provincial healthcare covers in another province. Here’s a real-life example of how travel insurance helped Isaac and his family when he was hospitalized in California. Isaac was on a family vacation in California when he fell into a swimming pool. After several minutes, his father came out looking for him. One family member performed CPR while another called an ambulance. Isaac was rushed to the children’s hospital where he was kept for observation overnight. Luckily, he suffered no ill effects and the family enjoyed the rest of their trip. Without travel insurance, Isaac’s family would have had to cover those costs and navigate a foreign medical system, making an already stressful situation, worse. What are the benefits of a family travel insurance plan? Costs less—If you’re travelling in a family of 2 or more, family travel insurance is the most economical option. The more people in the family, the better the savings. Travel together or separately—With Multi Trip Annual Travel Insurance, family members don’t have to travel together or even leave their home province at the same time. Single: If you only take one trip per year, this option makes the most sense. Annual: If you travel more than once a year, go for this option. Choose the trip length that works best for you and take as many trips as you like all year. 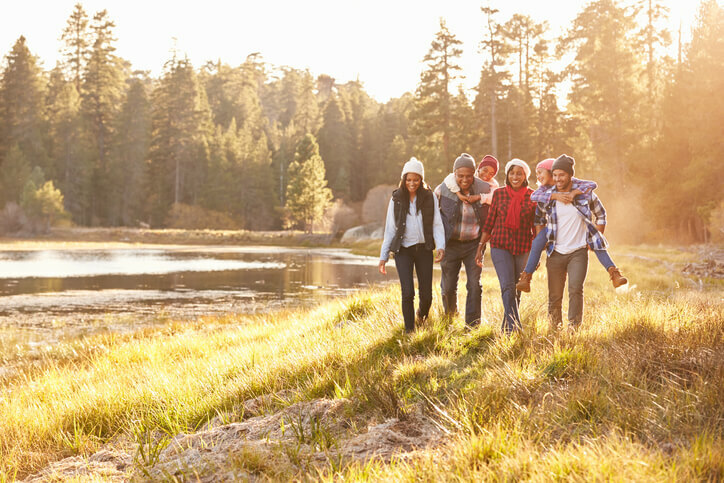 Insider’s tip: Get a Multi Trip Annual family plan to make things even easier. This way you and your family can travel together or separately as many times as you want during the year and not have to worry about travel insurance. You can choose to have your policy automatically renew yearly, so you’ll be continually covered and won’t have to worry about your coverage expiring. Because we know that if you have a family, you’ve got plenty of other things to worry about. Who can buy a family plan? Our policy defines a “family” as: Individuals 59 years of age and under consisting of you, all dependent children, grandchildren, and/or your spouse. That means, if you fit within one of the following groups, you’re eligible for our family plan. We hope we’ve answered some of your family travel insurance questions. Now you can get back to the fun part: planning your March break vacation! Still not sure if a family plan’s right for you? Feel free to ask questions in the comments below, call us toll-free at 1-855-929-8846 or email us. How much will cost me for the year travel insurance ,i am 77 years old..I’m in perfect health . Thanks for your query. If you’re looking for a travel insurance quote, look for our partner finder on tugo.com and based on your province, you can get a quote started online. Alternatively you could also contact our Customer Service team toll-free at 1-855-929-8846 or if you share your contact details, I could arrange a call back from them.